Scotlands Ash Garage is a family-run business that exists on our reputation for excellent service, honesty and transparency. 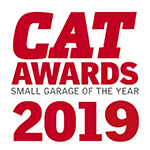 We’ve been serving local motorists in Didcot & South Oxfordshire for over 30 years and we work tirelessly to improve the perception of independent garages throughout the UK. We offer a wide range of services; MOT, car services, van services, general repairs on all makes and models and also tyre fitting. We have a large fleet of complimentary courtesy cars which makes us the ideal choice for motorists in Oxford, Didcot, Wallingford, Hagbourne and the surrounding areas. Whenever possible, we use Original Equipment quality parts and invest heavily in our staff and facilities to ensure customers receive the very highest levels of service. Furthermore, we are completely transparent about our prices and will always seek your permission before any work is undertaken, ensuring no nasty surprises. Throughout 2018, we will be continuing our charity initiative of donating £1 to Teenage Cancer Trust for every MOT that we undertake. We have raised over £8,000 for this worthy cause so far and we would like to thank all customers for their constant support. Air-conditioned waiting room with complimentary internet access, drinks and TV. Free wheel alignment and shock absorber tests with every MOT.